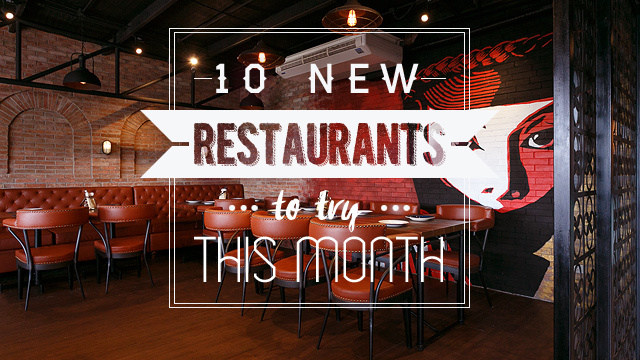 New picks for your eats list this month. 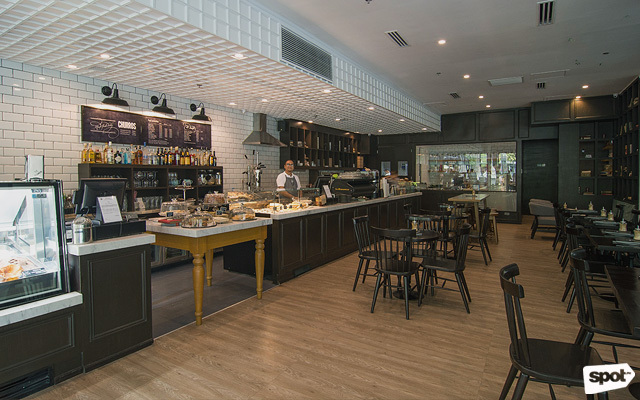 (SPOT.ph) Stumped for ideas on where to eat? Are there too many choices? We’re breaking down Manila’s extensive dining landscape with a list of places to try every month. Always keep your restaurant index fresh! Just when you thought Hole in the Wall couldn’t get any better, they come up with another food concept that has, yet again, exceeded expectations. Don’t be fooled by their meager-looking four-dish menu board—each item is carefully thought-out and executed to bring the best of Taiwanese street fare to your doorstep. Try the Bunplings, an interesting cross between xiao long bao and siopao, with a gingery pork broth and filling that perfectly complements each piece’s chewy, deep-fried outer layer. We cheated a bit on this one as Mamou technically isn’t new to anyone (especially steak fans). But their major comeback after a 10-year hiatus gives us enough reason to put their latest branch at Ayala Malls The 30th on the list. 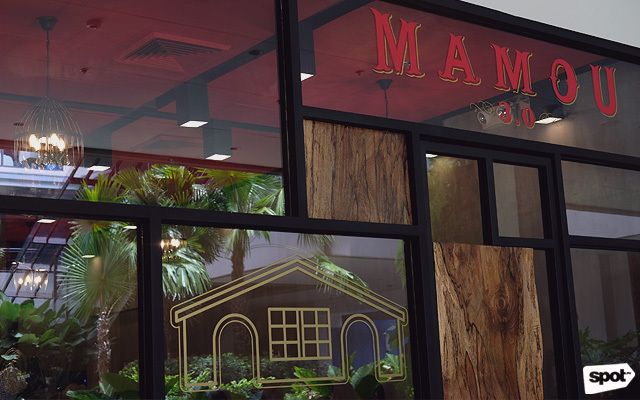 Now, steak aficionados from the North don’t have to go all the way to Makati or BGC to sample Mamou’s indulgent classics like the famous Lorenzo’s Truffle Cream Pasta or the rich but comforting Venison Curry. Salta! 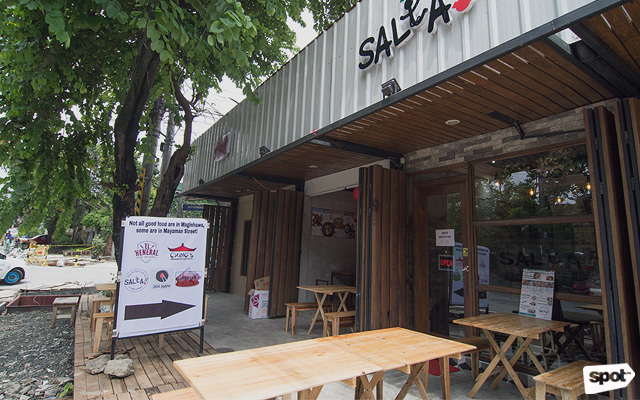 Italian Rotisserie Chicken Bar prides itself on serving up traditional Italian cooking and brings a food park favorite to another side of Quezon City: Teachers Village. Originally by Pappare Ristoranti of The Food Hive, the Spinach, Mushroom, and Bacon Carbonara is comfort on a plate and definitely something to look forward to if you want a delicious, no-frills, home-cooked meal. Olivia & Co. will take your taste buds to places with dishes inspired by countries around the globe. 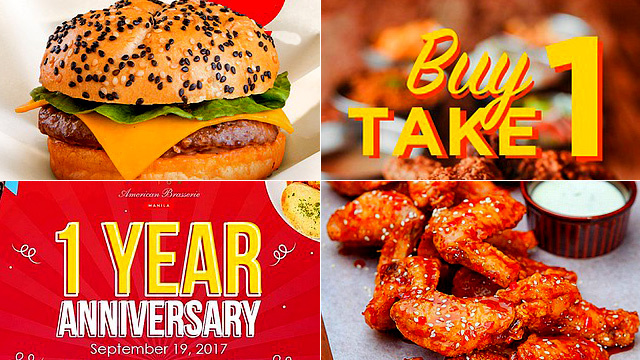 Don’t expect to get the classic New York buffalo wings here—instead, sample their Tokyo Wings, a sweet-savory meal that’s enhanced by the nutty flavor of sesame seeds. 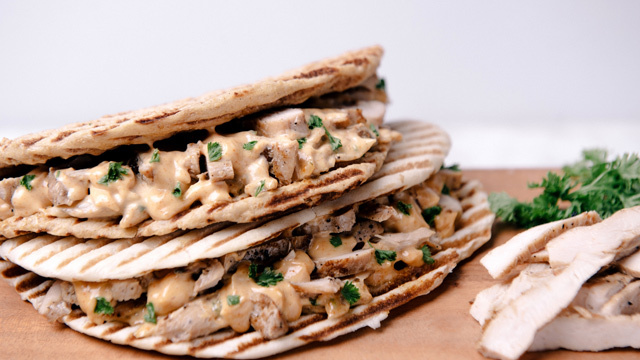 No creamy dip needed, it’s already good on its own. Who said the bingsu fad was over? 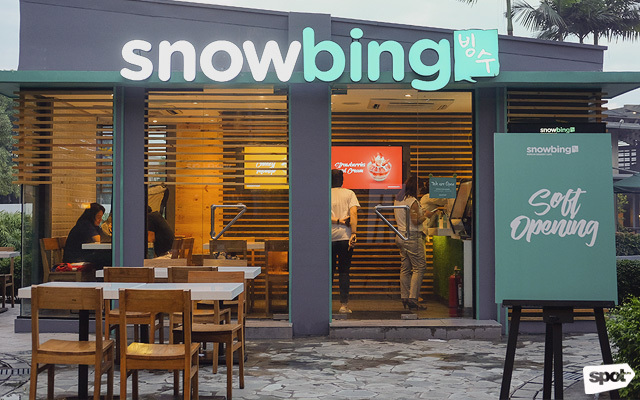 Snowbing is here to satisfy your Korean shaved-ice cravings. 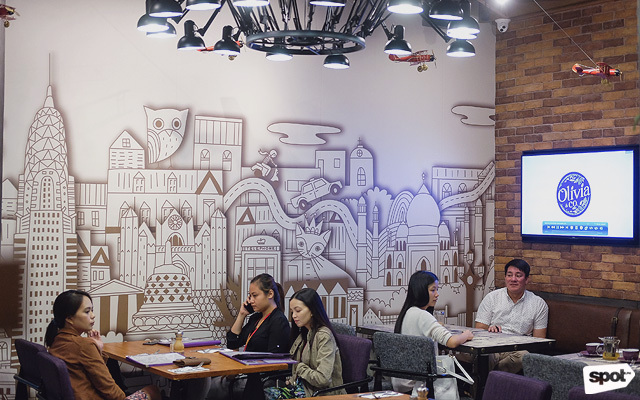 At this new café in Quezon City, it wouldn’t hurt to be a little extra. Crushed Biscoff? Check. Cream cheese? They've got it. Brownie chunks? Sure. Mix-and-match their unusual bingsu toppings or grab some of their signature bowls. One thing’s for sure: Every visit will give you something fun and exciting to try. 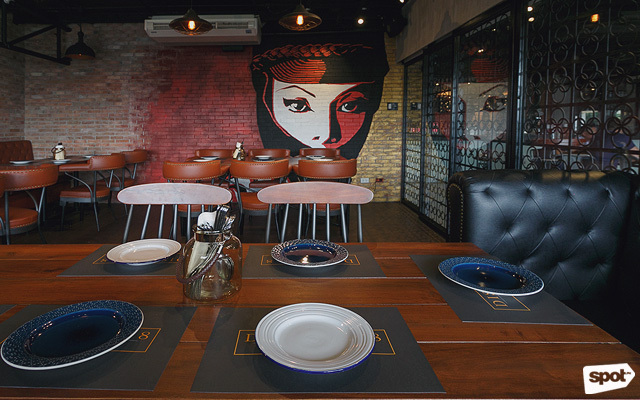 District 8 Manila wants to transport you to a different world. This gastropub boasts industrial-chic interiors and interesting street-art murals by Peter Apuyan, meant to take you to New York City. The kitchen, helmed by Chef Kel Zaguirre of Locavore fame, delivers dishes and desserts that can pair well with any alcoholic beverage. Their fresh and tangy Tuna Tartare, for example, is the perfect match for the Supremo cocktail made of white rum and orange juice. District 8 Manila is at Unit 202, G-Strip, Greenhills Shopping Center, Ortigas Avenue, Greenhills, San Juan City. Are you always in a rush? Then look no farther than Mayaman Street in Teachers Village where you’ll find Ching’s Asian Express, a Filipino-fusion restaurant that brings the warmth of home-cooking to wherever you are. If you can’t dine in, have your meal packed in their cool Chinese-style takeout container, with two dishes of your choice atop a bed of steaming white rice. 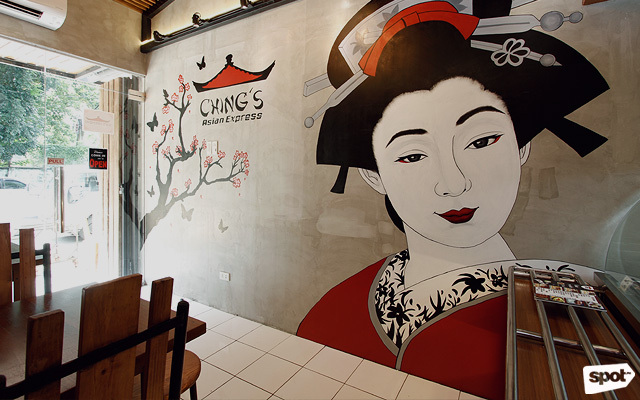 Ching's Asian Express is at 38 Mayaman Street, Teachers Village, Quezon City. 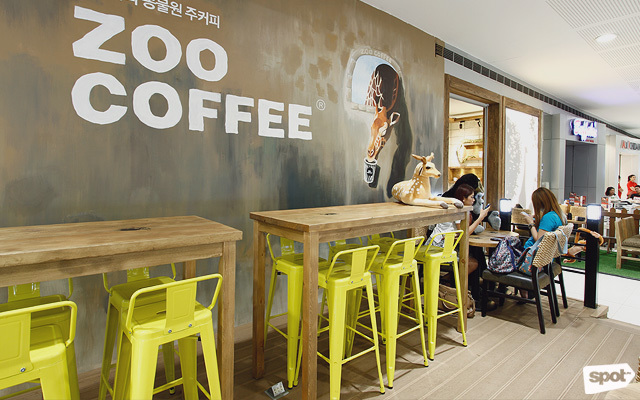 Animal lovers are in for a roaring good time at Zoo Coffee. Apart from their refreshing beverages, this franchise from Korea is also known for having life-sized stuffed animals scattered within the shop. It may not exactly be the African safari of your dreams, but it sure comes close! Steak is pretty popular around the Metro, but fried chicken steak is a rarity. If the latter is just what you’re looking for, visit El Heneral Ribs & Wings Co. in Teachers Village where they serve this deep-fried delight in huge portions. You’ll thank us later. 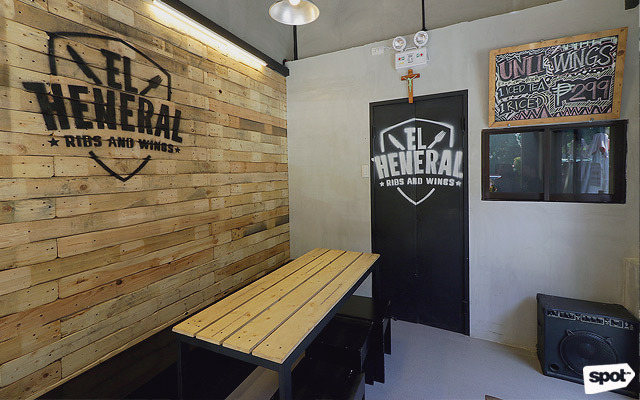 El Heneral Ribs & Wings Co. is at 38 Mayaman Street, Teachers Village, Quezon City. We may have found another strong contender in the Metro’s churros wars. Located in BGC, St. Louis House of Fine Ice Cream & Dessert sure is fine—their brunch menu features morning staples such as savory crepes, chia bowls, and waffles. Their sweet desserts are also crowd-pleasers that you can have any time of the day.